The practice pad I’ve owned for 12 years. It’s still in great shape. If they say no, that’s almost always the first port of call. A practice pad is an exceptional tool for any drummer. It allows you to perfect your rolls and rudiments quietly, consistently, and when you’re on the move. I was pleasantly surprised at how much my drumming improved after just a few weeks of consistently practicing on one of these bad boys. For example, your drum kit fills will instantly improve after you practice your single or double stroke rolls consistently on one of these. I own the both the 6-inch and 12-inch versions of this pad. I’ve had the 6-inch version for 12 years of pretty consistent practice. I’ve given this drum practice pad a right beating. Including a large number of heavy hits! That’s an insanely large amount of value for the low price tag. This comes in two versions. The 12-inch model and the 6 inch one. If this is your first practice pad, I would recommend the smaller model. However, the 12 inch is a great option if a bit of extra weight and space is not a problem for you. You also get a lot more space to play with for your drum strokes. This pad is double-sided. One side is made of a gum material, which gives solid rebound. This is great for practicing snare and cymbal strokes. The other side is made from more of a rubber material. This is useful for putting your muscles to work. This is useful for practicing on deeper tuned drum heads that don’t give a lot of rebound. Both of these practice options are very useful, as it allows for practice across different surfaces. Also, Evan’s is one of the biggest names in drum head manufacturers. The previous practice pad makes use of two surfaces. However, the Drumeo practice pad takes this premise to the next level. This pad consists of four different materials, and it allows you to quickly switch between surfaces at once. 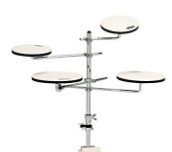 It can help you to develop the versatility required to move between different playing surfaces such as a drum set. This is also a very quiet practice pad, so it’s useful for drumming practice situations where you can’t make much noise. This drum practice pad was also created by Drumeo, one of the biggest online drum education websites in the world. This pad is a little bit more expensive than the others, but you get a lot of value for your price. Check out the video below. It will show not only the Drumeo practice pad in action, but it will also give you a flavor for what you can practice using one of these. This drum practice pad is a little different to the previous one mentioned. This one really simulates the bounce of a real drum, but at the expensive of being a little louder than the other practice pads. It’s also tunable, which enables you to simulate drums of different tension. This practice pad has one serious benefit. 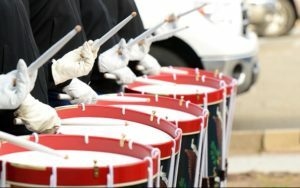 It’s tuning and slightly higher noise makes it a lot easier for you to listen out and observe your drum strokes. Therefore, you should really consider this if ultra quiet practice is not a top priority of your drum practice pad. It’s manufactured by Remo, one of the top drum head manufacturers. If you choose this pad, you’re going with an exceptional brand (It’s also the brand of drum heads that I have been fitting to my acoustic drums for years). This may have a lot of bearing on how often you use your practice pad. For example, if portability is important for you then I’d highly recommend a smaller pad as it could easily fit in a bag. I often carry around an Evan’s RealFeel 6 inch pad while traveling. If you mostly want to plant your practice pad on top of a snare drum then a bigger one like the 12 inch Evan’s RealFeel would be a better option. Not all practice pads are equal in the scale of noise. For example, the remo tunable practice pad is louder than the others mentioned above. I often used my pad as a means of practicing when it was too late to play my drum set. Your practice pad is also a great way to work on your rudiments for long and consistent sessions. Doing this on a loud pad could get tedious if noise is a concern. However, a slightly louder pad also has it’s positives. You can hear the difference in your strokes, which can be very helpful in getting your strokes just right. Some drummers want a very basic pad so they can focus exactly on their practice material at hand. Others prefer multiple playing surfaces like the Drumeo pad, as it can give them a better workout of varying different playing surfaces. Tunable practice pads allow you to alter the bounce level of the playing surface, which can better simulate playing an actual snare drum. If you want the most variety of your playing surfaces, then the Drumeo practice pad is a great option. When you get your practice pad, you should identify what your weak spots are with your drumming. If you have a drum teacher, they may have already hinted at certain parts of your strokes and playing. If you’re unsure, then work through some of the basic drum rudiments, such as single stroke rolls, double stroke rolls, paradiddles, flams, etc. I would also highly recommend practicing with a metronome. You should quickly be able to identify which ones are uncomfortable or unfamiliar to play. This is especially the case at high or very low speed. Your practice pad is a great tool to try out new techniques. For example, try out the Moeller technique or perfect your rebound. It’s a great idea to use your practice pad on front of a mirror, as you may quickly spot errors in your playing. If you use the matched grip (holding both sticks the same way), it’s easy to recognize discrepancies. I’d recommend that you get good feedback from a drum teacher, and then use a mirror to ensure that you’re following the correct directions. When I initially bought my practice pad, I spent countless hours simply perfecting my stick bounce at very low speed to a metronome. It’s amazing how initially difficult it can be to play very slowly. This is also the case for playing drum beats or songs on your drum set. 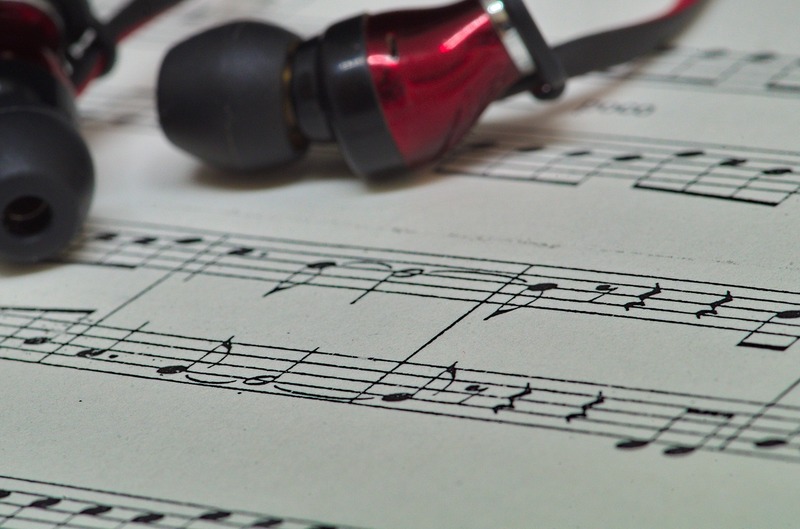 You might be able to play them at their normal tempo, but what happens if you decrease the tempo by 40 BPM? It really makes you ask yourself if you have really learned to play the beat. You can easily start to second guess yourself as there is a lot more space and time to make mistakes. Your timing – Use a metronome! The solid ability to stay in time and play at different tempos is your main objective as a drummer. A sure sign of a novice drummer is one who goes in and out of time often while playing. I highly recommend that you practice to a metronome as much as possible while using your practice pad. I have found that improvements in timing can be noticed within a few weeks. Getting comfortable playing with a metronome actually has two benefits. Firstly, many bands use metronomes for both recording and live performances (e.g. through in-ear monitors), you’re at a major disadvantage as a drummer if you can’t easily play to a metronome. Secondly, once you practice enough, your ability to stay in time substantially increases. Some beginner drummers think that drumming to a metronome will make them dependent on it. The truth is actually the opposite of that. A metronome improves your timing and therefore will make you more confident in your ability to stay in time, even without using a metronome. This improvement in timing will translate to playing on a drum set and playing on other musical instruments. This one is pretty superficial, but some drummers and fans love it. Many stick tricks involve hitting the drum and working with your rebound. The practice pad is a perfect place to try these out. This is a matter of personal preference. I would recommend that you get a pair of heavier sticks for a real workout. These can be great for practicing your speed and endurance. You will notice the difference when you go back to using your lighter sticks. 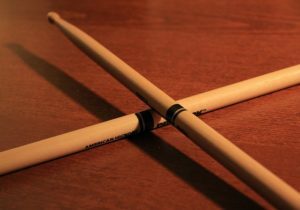 Otherwise, just play with your regular sticks if you are warming up on the practice pad before playing on your drum set. However, don’t just take my advise, play around with different stick types on your practice pad to see what suits you the best. There are many amazing drumming instruction videos online. 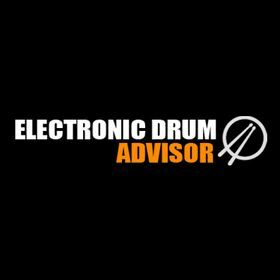 Check out Drumeo if you are interested in getting access to top quality online drum tuition. You could also buy the fantastic book “Stick Control: For the Snare Drummer” by George Lawrence Stone. This has been referred to as the drum bible. Personally, Dom Famularo’s book “It’s Your Move: Motions and Emotions” was one of the best resources I ever had for drumming. It’s first few chapters really paved the way for me to improve my technique. If in doubt, you should always try to seek the tuition and help of a local drumming instructor. It can be quite difficult to identify bad habits for yourself. An experienced teacher could identify them in a heartbeat, saving you so much time, and possibly saving you from injury from bad form and technique. 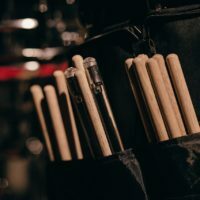 I hope this article has thought you the importance of using a drum practice pad. If you are still unsure what one to purchase, I would highly recommend the Evan’s 2 sided practice pad. I really think you can’t go wrong with this one. As I’ve previously mentioned, this has been my go-to pad for years. Also, this pad is an extremely popular choice for drummers. Do you have any questions? I’d be very happy to answer them below.